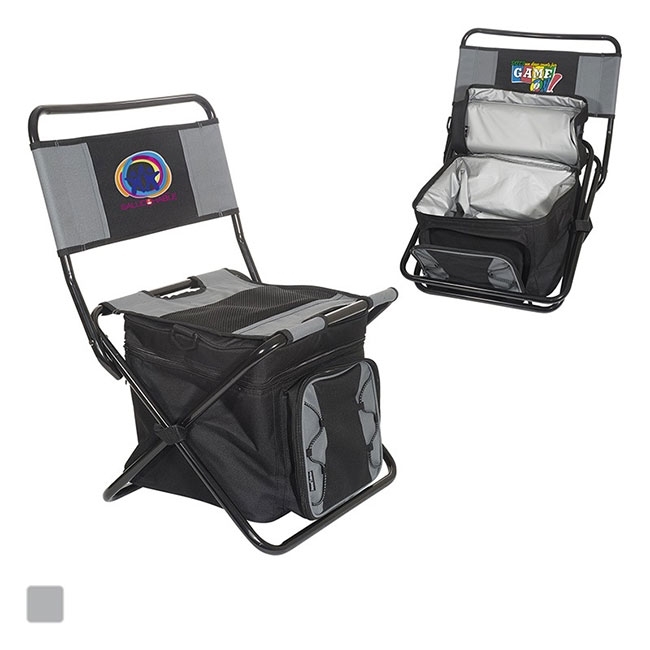 600D Polyester chair and cooler with 4mm EPE foam with PEVA lining. Cooler with one main zipper compartment that holds up to 40 cans and small front pocket. PP piping trim body outer shell. Chair back folds down for easy carry. Includes padded handle and adjustable web carry strap. Recommended weight tolerance for the cooler: 50 lbs. Recommended weight tolerance for the chair: 200 lbs.